It is a common misunderstanding that a song only has one copyright. 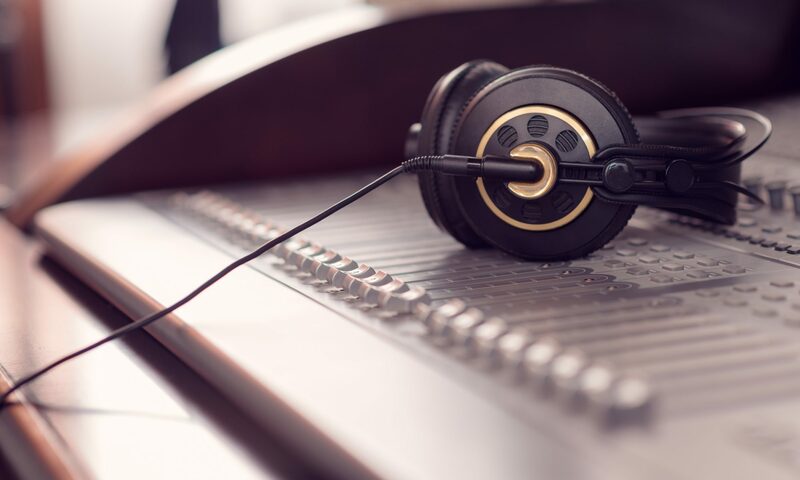 For anyone who creates music, uses existing music, or is otherwise involved in the music business, it is important to understand that there are actually at least 2 copyrights involved in every recorded song: (1) the musical work copyright and (2) the sound recording copyright. The “musical work” copyright, also known as a “musical composition,” protects the underlying musical arrangement and accompanying lyrics of a song, whether the composition is fixed in written sheet music, recorded, or otherwise. Musical works are created by songwriters and the copyright therein is often assigned, partially, to music publishers. The “sound recording” copyright protects the actual recording of a musical composition, as contained on a CD, in an MP3 file, on a computer hard drive, or other “phonorecords.” “Phonorecords” are defined in the Copyright Act as material objects in which sounds are fixed “by any method now known or later developed” (but does not include fixations of audiovisual works, which are separately protected, as discussed below). As a technical matter under the Copyright Act, copies of sound recordings are “phonorecords” and not “copies.” Sound recordings are created by the artists and musicians who record a musical work, and the copyright therein is often owned by or transferred to record companies. In addition to musical works and sound recordings, copyright law also protects dramatic works, such as theatrical plays, and audiovisual works, such as movies and television programs, each of which may also include music. Music licensing agreements will be discussed in a later post, but it suffices to say here that, for every recorded song, there can be multiple interests at stake. Take, for example, the song Atomic Dog. The song was written and performed by George Clinton, with publishing rights owned/controlled by both Bridgeport Music and Southfield Music (the owner/controller of the musical work copyright). The song was first recorded on the album Computer Games, released by Capitol Records (owner of the sound recording copyright). Thus, if you wanted to use Atomic Dog on a compilation mix CD, in a commercial, as a sample, or otherwise, you would need permission from at least Bridgeport Music, Southport Music, and Capitol Records. This post is the first in a series of posts discussing the basics of music copyright law. This series of posts can be located by selecting the Blog category “Copyright 101.” Future posts in this series will cover, among other topics, the exclusive rights under copyright law, the creation and registration of a music copyright, how to determine whether a song is in the public domain, common music licenses, and various other “basic” music copyright law issues. Next PostNext Is “Promotional Use Only” A Defense?